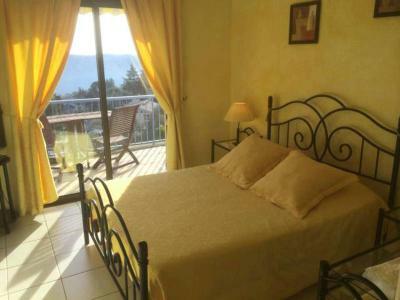 Lock in a great price for Maison d'hôtes Escale d'Azur – rated 9.3 by recent guests! Spacious apartment with full kitchen. Gorgeous views and very friendly hosts. The hosts Joelle and Jean-Jacque were very friendly and helpful and extremely accommodating. Lovely people. Deliciously large croissants and fresh bread for breakfast. 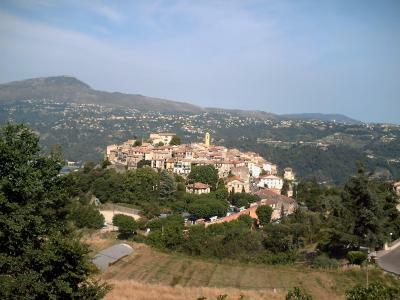 Fantastic view of Gattières. 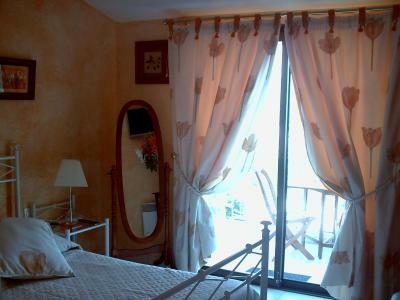 Very comfortable room with kettle and nice clean bathroom. Could have done with a little more legroom in the toilet. 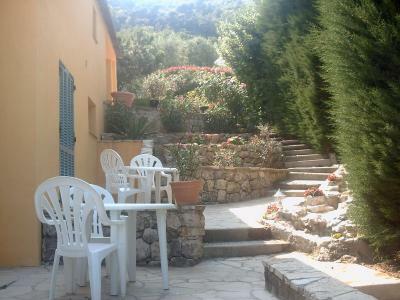 Great location away from the smog of the city but a very quick drive to Nice and to the airport. We thoroughly enjoyed our stay. The host is super friendly and help-full. The view is marvellous, we are in the mandarin room and had a view at the valley with the old city center of Gattieres in front of us. You have breakfast with this view as well. The breakfast is more then fine. There is also an outside kitchen to cook, with a fridge to keep your own drinks and groceries. The shower is fine and the room was spacious enough. There is also a very nice pool to hang out. Delicious croissants and assortment of bread for breakfast. 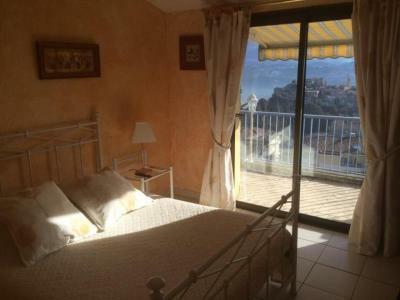 Location near pretty hilltop towns and Nice. Room very bright and clean. Even a kettle! Noelle and Jean-Jacques were incredibly welcoming and even cleaned and lent their bike! Lovely pool and quiet location. Fab outdoor kitchen too! Highly recommend! We loved the room, the view, the pool, the breakfast, and the welcoming hosts! 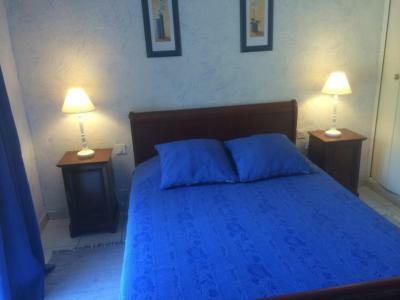 The rooms are clean, spacious with good AC and nice bed. Quit neighbourhood and the pool was nice as well. Fresh and lovely breakfast. The host couple are very nice, helpful and easy to get in contact with. They helped us with great tips of things to see and do in the area. Joelle & Jean were so Nice, they Will Help you with Everything. So hospitable. The location is amazing, eventhough it can be a little difficult to drive up there 😉 we had Our doubts About the shared kitchen, but it was actually Very nice. The pool area is fantastic. Jean-Jacques the host was absolutely delightful. 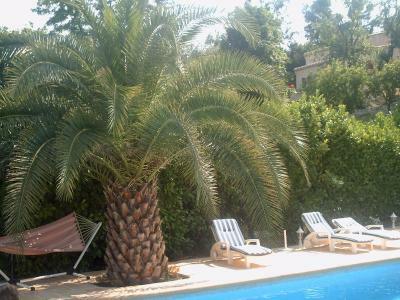 The pool facility was excellent and beautifully clean and there were cushions for the sun loungers. Breakfast was fresh and nicely presented with the most spectacular view to admire from the terrace. Was lovely to have a "garden kitchen" for the guests to use. There was plenty of tourist literature available and Jean-Jacques was most helpful with ideas of places to visit and with directions. 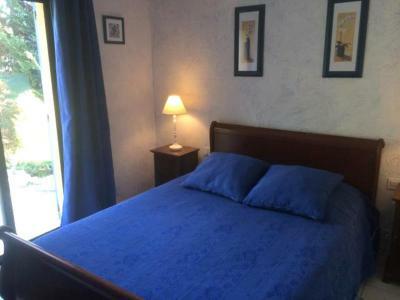 Chambre confortable et bien agencée. Piscine agréable. Calme. 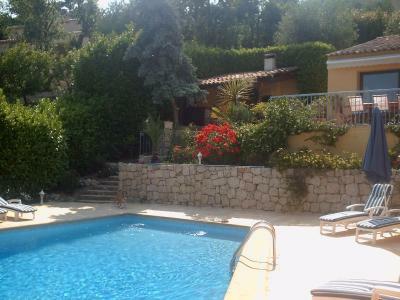 Located in Gattières, Maison d’hôtes Escale d’Azur offers an outdoor swimming pool, garden and terrace. Nice is a 30-minute drive away. Accessed by a private entrance, all rooms feature a private terrace, a view of the mountains, a flat-screen TV and a wardrobe. 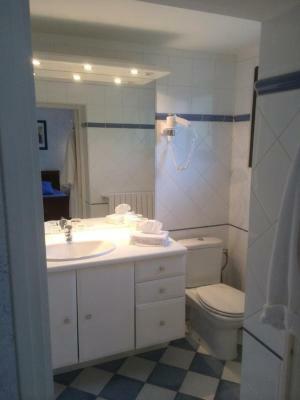 The private bathroom includes a hairdryer and bathrobe. 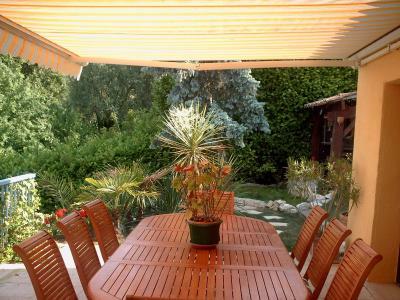 A breakfast is provided each morning at Maison d’hôtes Escale d’Azur. 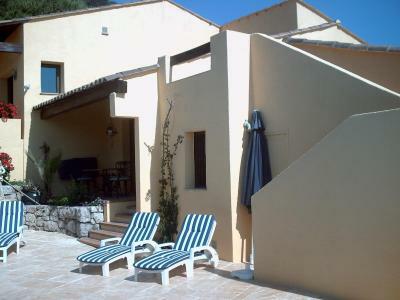 Guests can also make use of the BBQ facilities provided and the shared, outdoor kitchen. 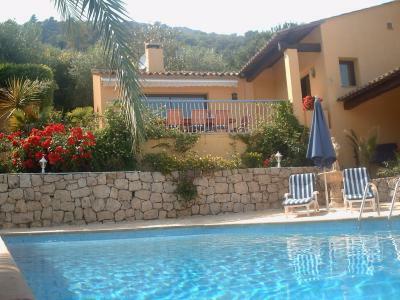 Saint-Martin-du-Var is 8.7 mi away and Nice Côte d’Azur Airport is 7.5 mi from the property. Additional features include free WiFi access in the public areas and free private parking on site. 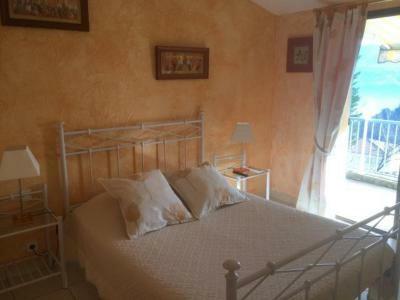 This property is also rated for the best value in Gattières! Guests are getting more for their money when compared to other properties in this city. 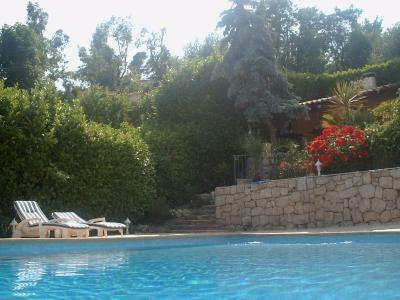 When would you like to stay at Maison d'hôtes Escale d'Azur? Accessed by a private entrance, this room features a view of the mountains, a flat-screen TV and a wardrobe. 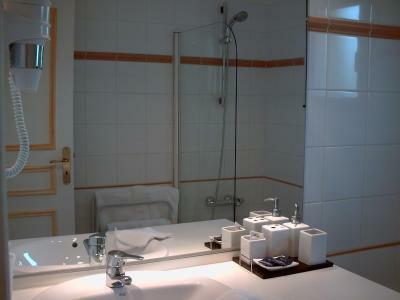 The private bathroom includes a hairdryer and bathrobe. This apartment features 2 connecting rooms, a bathroom and a massaging jet shower. The kitchen is equipped with a refrigerator, an oven, a microwave, a dishwasher and kitchenware. The living room comes with a sofa bed, air conditioning and a TV. The terrace offers views of Gattières Old Town. 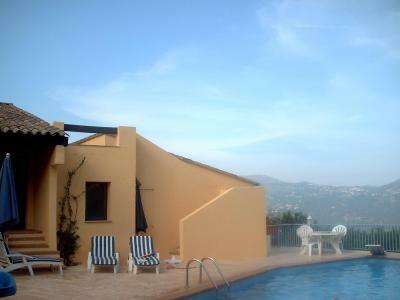 The apartment has access to the swimming pool. House Rules Maison d'hôtes Escale d'Azur takes special requests – add in the next step! Please note that the property only accepts cash payments or payments by check. 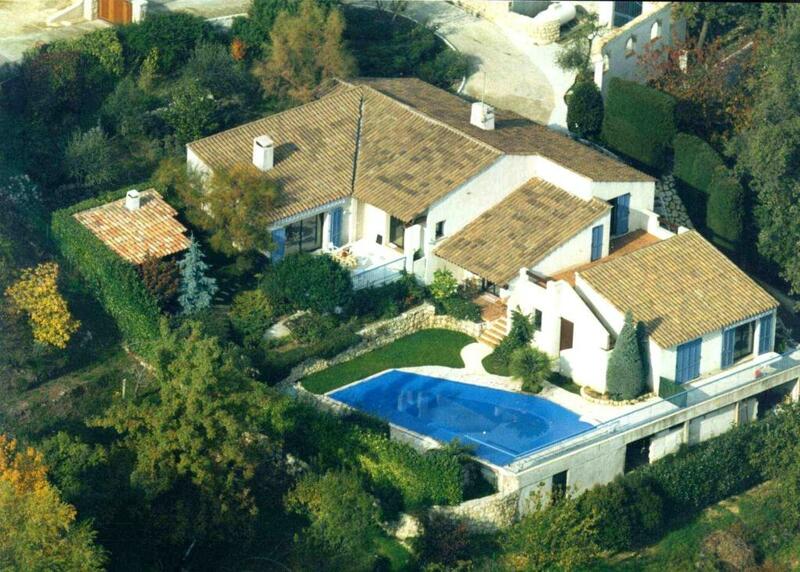 Please inform Maison d'hôtes Escale d'Azur of your expected arrival time in advance. You can use the Special Requests box when booking, or contact the property directly using the contact details in your confirmation. The hosts are wonderful people! Nice breakfast. Lovely hosts. Great views! Parking on the premisses is not easy because its very steep. The location is high op the mountains so you have to drive far to go to for example the nearest sand beach (Antibe), or Nice etc. For me the matras was to soft so I got back pain. The wifi was very slow. I could only read websites with some patience but streaming video or audio is not possible in the room. Outside the room was no wifi. Its a bit tricky to drive there (narrow and steap roads) and could be a couple more signs to the hotel. We were in the "blue room". The terrace is really small, and Very uneven so it was not the greatest. There is not Much of a view from that room/terrace. The Breakfast is perfekt, but you eat it at the same table as everyone else, who is staying there. We are not morning persons, so that was a little anoying. The bed are way to hard. The roads on the way up to this property are very narrow, if your traveling in a big car! It can be stressful getting in round the bends into the properties car park.